As the retirement village market grows, so do the options for securing your place in one. Buying a life right is the least-understood financial model, but it has definite advantages for people who want freedom from the risks and responsibilities of property ownership. Roz Wrottesley reports. At age 50 or older, your search for a new home has a new and unfamiliar dimension: the option of moving into a retirement village with the expectation of living there for the rest of your life. The idea of not having to move again – even if your health declines, or you outlive your spouse/partner – is attractive, but the decision is not a simple one. How much do you value your independence? Does communal living appeal to you? Can a retirement complex offer you the location and lifestyle you want? And crucially, if it is one of the growing number of developments that offers a “life right” on a property, rather than outright ownership, is it a good investment? The life-right model is not well understood in South Africa, partly because it is only one option in the developing retirement village market, but probably also because we have a deep suspicion of anything that falls short of full property ownership. There are no regulations specific to this model of financing a home in retirement, which means that life right propositions vary widely and may be difficult to evaluate without the help of a financial planner. However, life-right purchasers do have the protection of the Housing Development Schemes for Retired Persons Act (HDSRP Act), which sets down the requirements of valid contracts and the remedies if contracts are broken. The two better-known methods of securing accommodation in a retirement village are to buy outright in a sectional title complex, or buy into a share block, which gives you shares in the development company, rather than ownership of property, with the shares allocated to a specific unit of accommodation. Sectional title schemes are subject to the Sectional Title Act, while share blocks are regulated by the Share Blocks Control Act. In the absence of dedicated regulation, life rights developments must be registered in terms of the HDSRP Act. This means that the title deed on the land on which a development is built carries an endorsement (a stamp and notes provided by the Registrar in the Deeds Office) that acknowledges that the rights and properties sold on the land are subject to the provisions of the Act. Although life rights are not regulated or uniform in this country, the model is well-established in the United States, the most developed retirement-village market in the world, and is growing in popularity in Australia, New Zealand (where reports suggest that life rights represent as much as 80% of retirement village occupation) and the United Kingdom. Whereas retirement was once the preserve of the not-for-profit sector, the retirement of the relatively affluent “baby boomers” (born after World War II, between 1945 and 1964) created the demand for a retirement model that provides a comfortable and independent lifestyle for as long as possible, combined with the support systems needed in old age. Life rights potentially offer the highest level of support for those who can afford it, since the life-right owner exchanges profit for peace of mind in respect of services and freedom from the burdens of home ownership. In essence – and in theory – a life-right scheme offers you (and your spouse/partner) a home for life without all the responsibilities of full ownership and at a more affordable price than you would pay for outright or sectional title ownership of a similar property. In effect, you are buying a lifetime lease, paid upfront, but with the HDSRP Act assuring you of the same security of tenure you’d have with conventional ownership. And since the property does not change hands, life-rights purchases are not subject to transfer or registration fees and are exempt from VAT – a considerable saving, as any property owner will know. As part of the “for life” tenure proposition and to make the villages more attractive to people looking for a supportive environment, most life-right schemes include communal facilities and services – for example, lounge and dining areas and residents’ transport – and offer some level of care and assisted living, from on-call careworkers and nurses to full-time frail care. You need to be at least 50 years old to be eligible for retirement-village living and the purchase price is a fixed capital amount, paid in a lump sum or in instalments depending on the terms offered by the developer or seller. 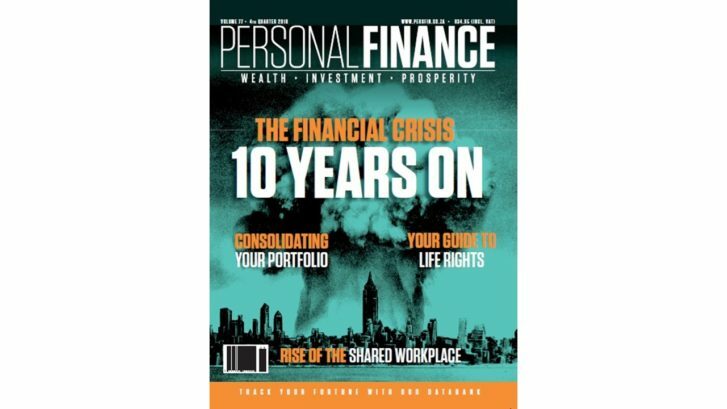 In most cases, when both partners have died, the original capital investment is given back to their estate without interest … although new financial models are being created all the time and anything is possible, says Rob Jones, chief executive of retirement property consultancy Shire Retirement Properties. The 2017 Alexander Forbes Benefits Barometer supports this, giving R1.3 million as the starting price for a life right in a retirement village, compared with between R2.3 and R3.2 million for sectional or full title. Some villages offer rental options, but these come at a very high price: research by the retirement income specialists Just Retirement indicates that renting in an upmarket village can cost R8 000 a month, depending on your age and gender, soaring to a full cost of as much as R59 000 a month if you rent and need full frail care. Costs increase year-on-year by about three percent above inflation, according to Just Retirement. Some developers offer a so-called “deferred purchase” option, says Jones. This operates similarly to the “balloon” payment that makes a luxury car more affordable: a percentage of the purchase price – in the case of a life right, up to 15 percent – is held over until the end of the contract. The HDSRP Act requires a developer to appoint an independent managing agent to run the property and to make sure there is a residents’ association to represent the residents’ interests. While the Act gives life-right owners certain management rights, in the most successful villages they cede these rights to the managing agent, for their own convenience and for the sake of efficiency, says Jones. Levies are set up when a village is established and the HDSRP Act requires developers to hold them as advertised for the first year and to provide levy estimates for the next two years. The managing agent manages levy collection and works with the residents’ association to revise levies annually according to the budget. Most information on life-rights schemes includes reassuring assertions that levies are both affordable and transparent, since residents are not responsible for maintenance of their properties or for rates and taxes. Levies, then, should cover consumables, such as water and electricity, and the use of facilities and services provided by the village. But what’s to stop the developer from raising the levies unfairly after the first three years? In this minimally regulated environment, there is a distinctly pioneering spirit about the way some developers create life-right schemes, if Jones’s expert assessment is anything to go by. Few developers take the trouble to develop a strong financial model, he says, and many go into it without much thought at all. As a result, he has more than once been called in to help revise a failing scheme … even a scheme that was part of a “fairly large group”. What does failure look like? Jones says it is a “very tricky situation” when a development – or a developer – gets into financial difficulty, but in most cases, the village is taken over by another operator, or raises the funding needed to continue using the assets of the village as collateral for loans. It is impossible to overstate the importance of scrutinising the life-right contract in detail and taking advice from a property lawyer and/or a financial adviser before signing on the dotted line. While contract terms vary significantly from development to development, the HDSRP Act does offer some protection for the purchaser by spelling out exactly what information must be provided in all contracts. Any contract that does not meet the requirements of the Act is invalid. Q: What information can a prospective buyer not do without? The nature of the services in the village, including things like laundry, domestic services and catering. The most important service, though, is care. Ideally, a home-based care service should be available, but when that is no longer adequate, a care centre should be available with rooms for frail care and memory care (dementia). Memory care units should be designed specifically for the purpose. Q: What if an owner has to move out because of extreme ill health or other circumstances? RJ: He or she simply terminates the contract, but there may be a considerable wait for the return of the original investment. This happens only once the right has been resold and paid for – a process that tends to move faster in established villages with well-managed waiting lists. There is no legal limit on the time it takes to refund the owner, but if a right is slow to sell, many life right operators will allow for some other intervention, such as appointing other sales agents, reducing or eradicating levies, or even paying out the owner in full or part. Another option is rental of the unit to offset costs in favour of the life right owner. Q: Can a developer terminate a life right? RJ: Yes; the most likely reason is that an owner is no longer capable of living independently. This is normally not a unilateral decision, but taken in consultation with the resident and a multidisciplinary team that includes the personal physician and family. In the exceptionally rare circumstance that a resident refuses to conform to the rules of the estate, the operator can resort to termination (but then so can the life-right purchaser). Q: Can the developer raise special levies over and above the consumption levies? RJ: There is some uncertainty around this. An attorney I consult with believes the HDSRP Act does not allow for special levies at all, but I think this applies only to life rights, as the tenants are not property owners and the landlord has the responsibility of improving and maintaining the property. This is one of many aspects of the law that need attention. The HDSRP Act contains a number of prescriptions in respect of life right contracts, says attorney Nanika Prinsloo, a director of Prinsloo & Associates Attorneys in Somerset West. The sale agreement must be in writing and signed by both the purchaser and the seller, or their authorised agents. Identification of the parties must include full names, ID numbers, addresses, registration details of companies/trusts, and so on. There must be a precise description of the legal grounds on which the life right is sold. The developer must have the legal right to sell and the development should have been registered in terms of the HDSRP Act. What the purchaser is buying must be described in detail. The period of the life right and any limitations and rules that apply to the exercise of the right must be spelled out. It should leave no room for error. The agreement must contain a statement as to whether the title deed on the land has been endorsed. When a piece of land, the development is registered with the Deeds Office – in other words, the Registrar puts a stamp on the original title deed noting that the endorsement has been done in terms of the Endorsement of the Title Deeds Act of 1990. A developer is not allowed to sell a life right in a retirement village unless the title deed has been endorsed at the Deed’s Office. Without that endorsement, a developer who proceeds to sell a life right is committing an offence and can be fined R20 000 or sent to jail for five years. The contract must clearly describe the land to which a life right is being sold, providing the erf number as well as the unit number (if any), the size of the property and the magisterial district. The seller must provide evidence of his or her right to sell the life right on the property. If the seller is the owner of the right, rather than the land, he or she must provide details of the owner of the land and evidence of the purchase agreement. If there is a bond on the property, all the relevant details must be supplied. The purchase price must be set out in the agreement, plus the amount of interest that will be levied on the purchase price if it is paid off. If the amount is to be paid in instalments, the amount of each instalment must be stated, as well as the dates on which payments must be made. In terms of Section 6 of the HDSRP Act, a developer may not receive any monies from the sale of a life right in a retirement village unless an architect or a quantity surveyor has issued a Section 6(1) certificate stating that the housing development scheme concerned has been erected in accordance with any approved building plans, town-planning scheme and local authority by-laws. The contract must contain a clause confirming that a copy of the certificate has been given to the purchaser, or giving a date by which the certificate will be supplied. If any services are to be rendered in the retirement village, the contract must contain a statement setting out where the services will be delivered, when they will be delivered and what rights and obligations the purchaser has in relation to those services, so ther is no doubt how they may be used. To read more about services on offer by Shire Retirement Properties, click here.